It's been at least five years since I've paid for airfare or hotels out of pocket, as I always use reward points and miles instead. And far from being a homebody, I travel extensively in connection with my freelance work, and for vacations with my family. But free travel isn't some elusive and impossible-to-accomplish goal, because with the right strategy, anyone can do it. Here's how I did it. The way I see it, there are three kinds of bargain hunting globe-trotters. First, there are those who rarely or never think about points and miles, and look for the best possible deals on paid reservations. While these travelers are missing out on the world of points and miles, it's certainly a simpler way to go. Next, there are those who make some attempt to earn points and miles, but not enough to cover all of their travel expenses. These travelers will typically try to use their rewards to save the most money possible on some trips, and pay for the rest. 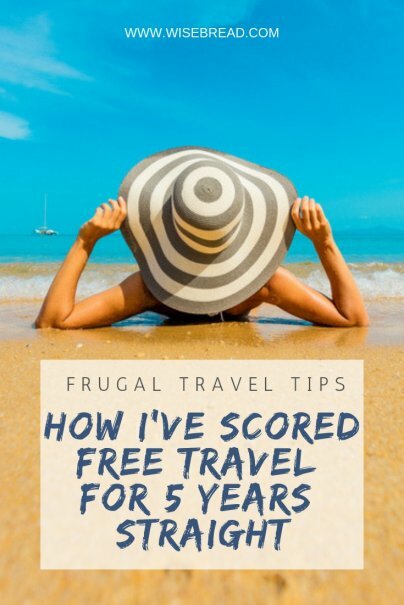 It was about 10 years ago when I discovered the value of frequent flyer programs and hotel rewards, and I was determined to learn as much as possible. I didn't always earn travel rewards with my credit cards, and sometimes I didn't even use my frequent flyer number on paid airline tickets, or sign up for hotel rewards. It still makes me cringe to think about it. I read blog posts, participated in online forums, and attended meetups with fellow award travel enthusiasts. My goal was to earn as many points and miles as possible, and pay as little as I could for travel. 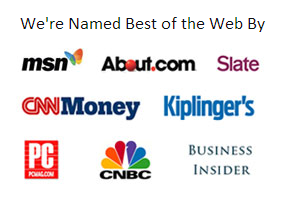 It also helped that I write about credit cards and travel rewards for a living, so I'm always staying in the know. About five years into this journey, I became the third kind of traveler — where I was able to pay for all of my flights and hotels with my points and miles, and often my rental cars. At this point, I was no longer concerned with finding "good deals" in cash, as I always had a way to use points or miles instead. There are three primary ways I earn travel rewards: through credit card spending, sign-up bonuses when I sign up for new credit cards, and other reward-earning activities. My wife and I highly optimize our spending, using the right card for each purchase. This could mean having one card for groceries, another for gas, and a third for everything else. Sometimes, we have more cards than that! We also charge everything we can to our credit cards. So long as we don't have to pay any extra credit card processing fees (which are illegal in many states), and we avoid interest by paying our balances in full, there's little cost to this strategy. I also earn sign sign-up bonuses when I apply for new credit cards. I used to do this frequently, but now I just sign up for the cards with the best bonuses, perhaps just two or three a year each for my wife and I. But when there are cards that offer you 75,000 or 100,000 points or miles as a sign-up bonus, it's hard to say no. Finally, there's a variety of other reward-earning activities and promotions that I come across. Basically, I'm always on the hunt for additional miles. Sometimes a credit card issuer will offer a bonus for spending a certain amount within the next few months. Other times, I'll ask for bonuses for renewing a credit card. There are also online shopping portals that offer you additional points when you use them. And when friends or family members ask me to help them book travel, I'll use my credit card and have them write me a check. I've even earned hotel points for sitting through a timeshare presentation, and been given frequent flyer miles as compensation for poor airline service. I don't earn that many points or miles from any one of these activities or promotions, but together they add up.